Anywhere that you find large machinery, heavy items, and people all together, accidents are a possibility. Even though pallet racks are generally a very safe form of storage – especially if you’re using high-quality pallet rack safety solutions – dangers still exist. 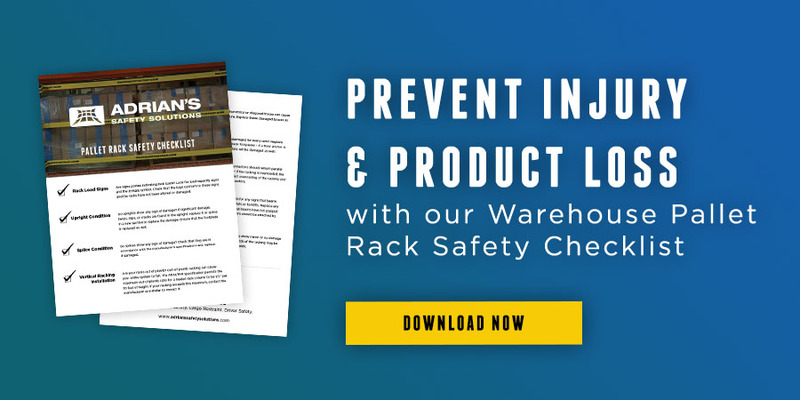 Whether you’re improving safety at your industrial manufacturing facility, distribution center, or warehouse, here are some tips to keep rack aisles safe for anyone walking through them. Double stacking your stock isn’t a bad practice. Lighter, low-density loads are safe to stack and can save space on your racking. When you double stack a dense or heavy load, however, the risks are greater. An item that is slightly out of square is much more prone to fall if the weight behind it is high. Make sure the loads you have double stacked are light and not likely to fall due to their high weight. Keeping your heavy items on lower levels helps reduce the distance an item has to drop if a fall does occur, which in turn reduces the risk of serious injury and product damage. In addition, keeping heavier items on lower shelves helps reduce strain on the racks. Always put your heaviest stock as low on your racking as possible. Broken, damaged, old, or otherwise compromised pallets can cause a lot of trouble for you, your employees, and your customers. Even if your load is safely single stacked and secured, a pallet breaking can cause the items on it to fall into the aisles or flue space. Keep an eye on the condition of your pallets and replace any that look compromised. You can use this pallet rack inspection checklist from our friends at Cisco-Eagle as a guide. If they sag or give way under pressure, it’s time for a new pallet! 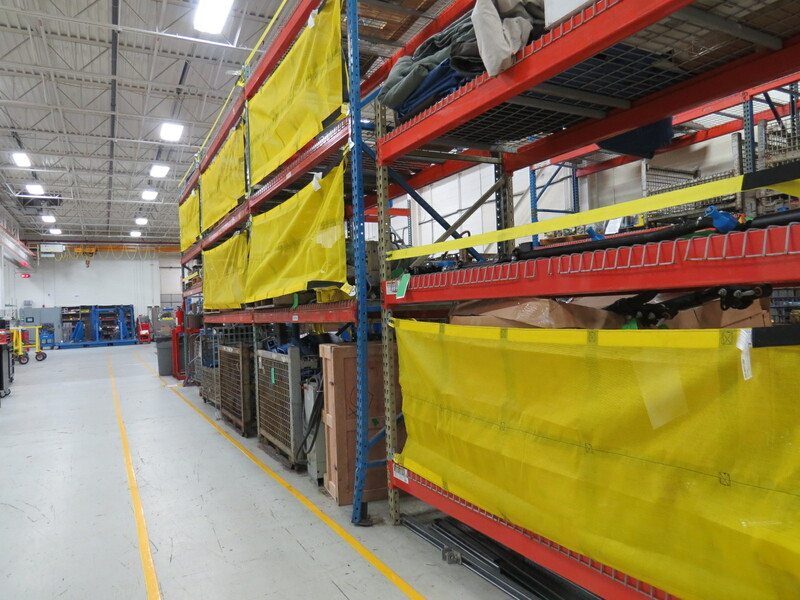 A great safety solution, like a Sliding Rack Safety Net, can help protect your stock and employees while still allowing easy access to inventory. These make a significant impact on the safety of your work area in pick-and-pack operations. If you need a solution for non-picking bays, then the Fixed Rack Safety Net is an effective solution. These take seconds to install and guard your stock and aisleways from falling items. If a pallet breaks or an out of square item causes a load to fall, these pallet rack safety solutions can keep a falling item from ending up in the aisle – or on an employee. By following these four tips, you will create an environment that is much safer for your employees and help you avoid serious injuries and accidents.